At first glance this seems like a really cool print. 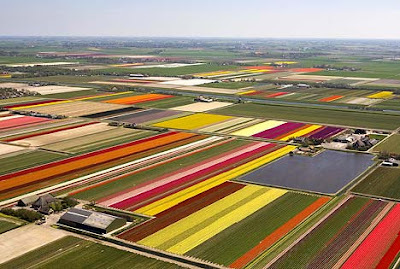 But look closely (or just read this) and you'll see that those are actually tulip fields from the Netherlands. I'm a little biased since tulips are my favorite flower, but seriously, how cool is this?! Reminds me of a more geometric version of Italian sunflower fields. 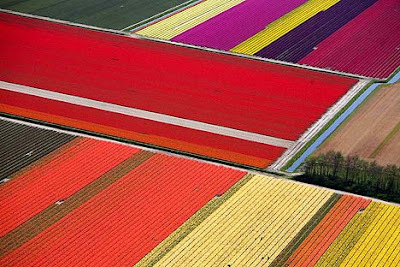 apparently the Netherlands produce more than 9 million of these a year.